What are the Best JEE Coaching Centers available for NRIs? Often a leeway leads to a wrong decision that ultimately contributes to a vanquished state in a life of an adolescent. likewise, the aspirants of JEE exam must undertake few precautions before considering a training from a coaching center. Even the situation becomes worse when an NRI aspirant makes a wrong decision in choosing a coaching center. Since being staying far away from India it is seriously very pathetic to opt a perfect, impeccable coaching center for JEE that will give him/her the best learning opportunity. Why must an aspirant of JEE choose a coaching center? What if he/she decide to prepare the entire syllabus by own? Affirmatively, there is nothing bad or dreadful for any aspirant but equally, in that case, the particular student must prepare his/her mind from enough time before the actual time scheduled for preparation. Often aspirants reach nowhere, as in the premature stage of their planning they fail to perfectly organize the vast syllabus of the JEE exam. A good coaching center seriously holds the hands of the ignorant and flawlessly heals his/her loopholes through the periodic mock test, explicit explanation of each concept subject wise. And most importantly coaching centers unfailingly guide a newbie as an aspirant of engineering to maintain a tight pattern of his/her strategies required during the gestation of preparation for JEE exam. Why an NRI opt for a coaching center for JEE exam? Being away far from the actual origin of this typical engineering exam an NRI might become numb if he/she simply prepare on the basis of self-guidance. For NRI’s the pressure of this exam even become narrower as they have dual tension at the time of preparation. At the first stage the actual tension of the exam and at the second level getting accustomed to a new country’s decorum. 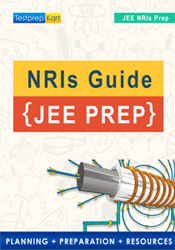 But before everything, the essential factor that should be gulped by an NRI or any other aspirant is choosing the ideal and suitable coaching center for the commencement of the actual preparation for the purpose of cracking the JEE. Live and Interactive: This is a completely live and interactive coaching for JEE students. These classes will be conducted online and students can attend these classes from anywhere in the world. 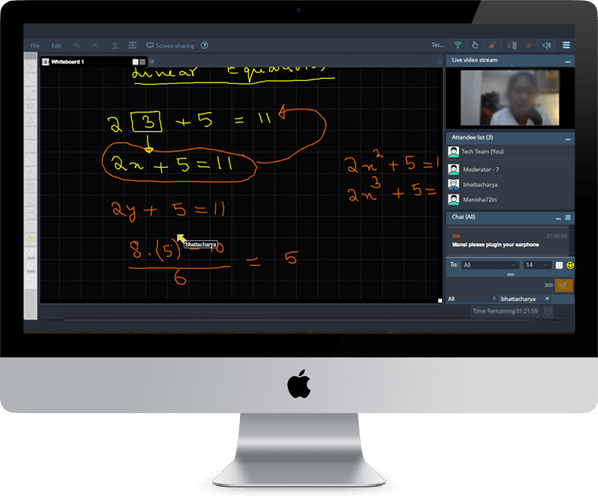 Students can connect to our virtual whiteboard on their laptops and that is it. World Class Faculties: Since we are online – We manage to handle a pool of 150+ JEE teachers for your JEE preparation. These faculties are highly experienced and know what all it takes to ace JEE exams. Study Material: Students get their PCM study material uploaded in their student’s accounts on TestprepKart. In cases where hard copy of study material is requested – It will be send by courier. Online Test Series: With every JEE preparation or coaching program, students get a set of online test series for JEE assessment. This boosts their confidence and helps them in overcoming the weak areas. This will further be discussed in a classroom by the faculties. Assessment Reports: Students get daily assessments to do before they join the session, so that the complete focus is given on problem solving during the classes. Doubt Removal Sessions: Separate doubt removal sessions are organised for JEE students so that at the end if they have any doubts, these can be discussed during the doubt removal sessions. Class Recordings: All the classes conducted on TestprepKart for JEE is recorded automatically and gets updated in students accounts in 24 hrs. for revision. How to choose the perfect coaching centers? It is relatively simple to choose the actual coaching center. Just make a list of the top coaching centers from the available information over the net and after rationally evaluating each institution’s pros & cons shortlist the names of the best one and then depending on your gut feelings head towards success. Therefore NRI students do not waste time in thinking about this topic just work accordingly! All the best!